Shakti Wood is a partner in our Johannesburg office and a member of the Competition Practice. She specialises in merger control, behavioural competition matters, preparing exemption applications and conducting compliance reviews. 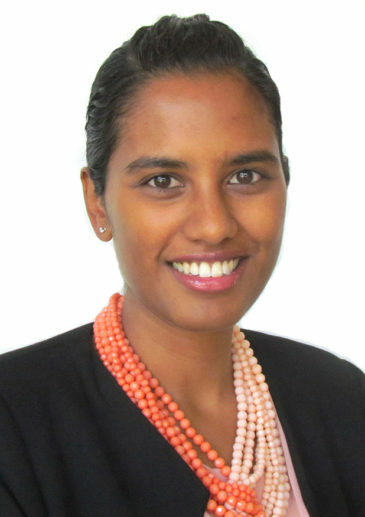 Shakti’s experience has been primarily regarding the South African Competition Act, but she also has experience of competition law in COMESA, Kenya and Zambia. Shakti has acted for clients across various sectors including food and beverages, agriculture, mining, pharmaceuticals and healthcare, petroleum and telecommunications. Shakti has BCom Honours (Economics) and LLB degrees from the University of the Witwatersrand. Shakti was recognised by Who’s Who Legal 2018 as a Competition Future Leader in the Non-Partners category. Listed in the Global Competition Review 2018 in the Senior Associates category.